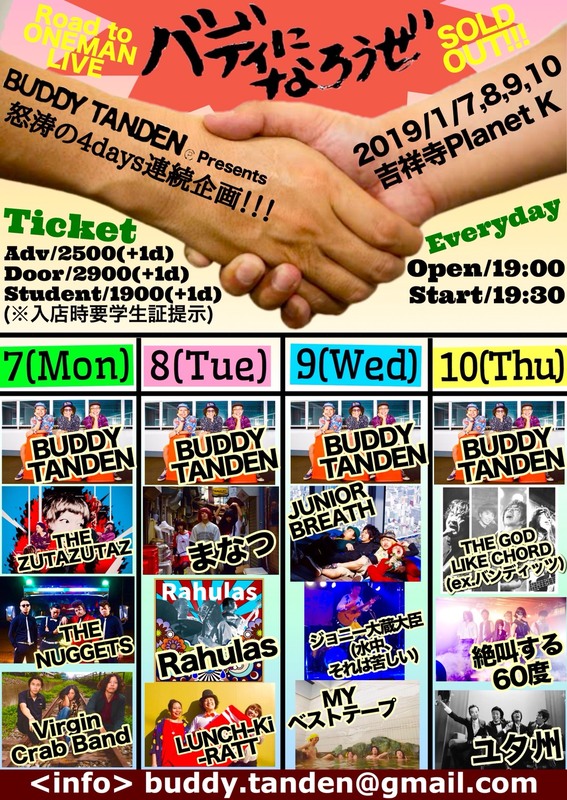 BUDDY TANDEN pre. 怒涛の4days連続企画 「バディになろうぜ〜Road to ONEMAN LIVE Sold Out!! !〜」 | 2002 Planet K Head Office/TIGER K PROJECT.